Discussion in 'Confirmed Event Discussion' started by HypnoHooves, 1 January 2018. Welcome to our first meeting of 2018. 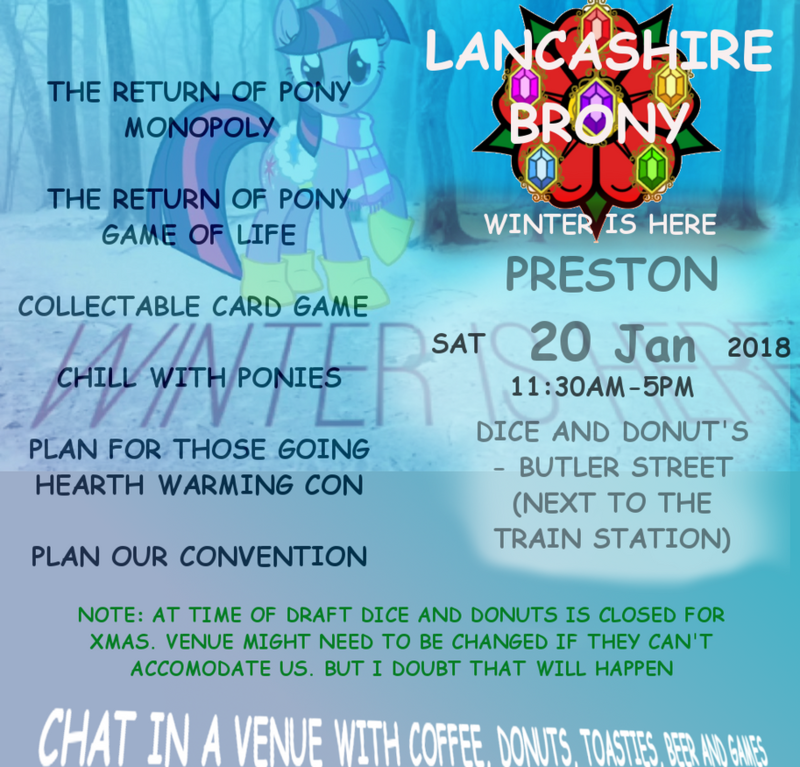 Every local pony is welcome to this gathering of the Lancashire herd in Preston - but we know many of you travel hundreds of miles for these preston events. Our venue to Dice and Donut's a local gaming cafe that serves coffee, donuts, toasties and beer to the gaming crowd. 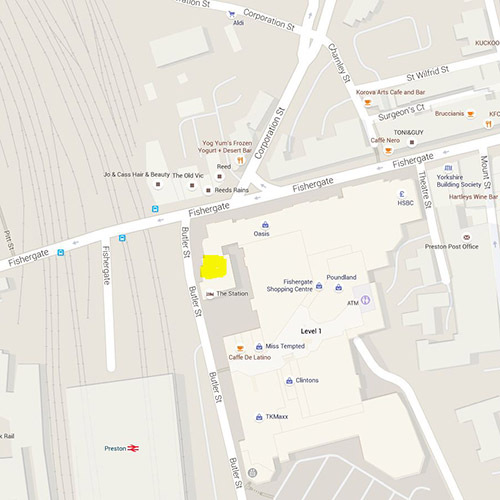 We have a reserved bank of tables- ok to be honest most of the ground floor. for what will no doubt be anotherfriendly gathering. The shop is now stocking tails of equestria, and the CCG - we have erh converted them. 15:30 Plan attending conventions for the year ahead, including hearth warming con, galacon and our own convention. Yes its that time of year, plan and join up with ponies to get cheap fares to galacon, hwcon and other pony events. we also will discuss our own convention. As usual... Bring your plushes, see if they can enjoy being part of the celebrations! Silent Smoke and Librase like this. one week to go i know many of you responded on telegram, but here is a bump for those not on it! its on satuday! . for those just on here dont worry, the ponies on facebook and telegram are coming, from as far north as carlise, east as far as bradford, and south as far as london to the meet. Forgot about meet on my way now!